Water will be collected in the aquifer to meet data centers' thirsty demand for agua. The City of Prineville and Apple have teamed up to create a resilient, cost-effective and sustainable water supply solution to meet growing community demands by 2021 and for generations to come. This fall, the City of Prineville will begin construction of an Aquifer Storage and Recovery (ASR) system, a water management tool that allows the City to meet peak demands by taking advantage of the natural storage space found in geologic formations underground. The move to an ASR system is in response to dramatic seasonal differences in the community's current water supply needs -- less than 1 million gallons per day in the winter versus more than 4 million gallons per day in the summer. With an ASR system, water is collected in the aquifer during periods of cooler temperatures, higher streamflow, and lower demands. The stored water can later be recovered and used during periods of hotter temperatures and higher water demands, thereby easing peak demand stress on native water sources and reducing the need to build expensive storage facilities. Prineville's ASR system is expected to mitigate the long-term impacts of climate change, including reduced snowpack and stream flows, and provides for a readily available underground reservoir of stored water for use in the event of drought. 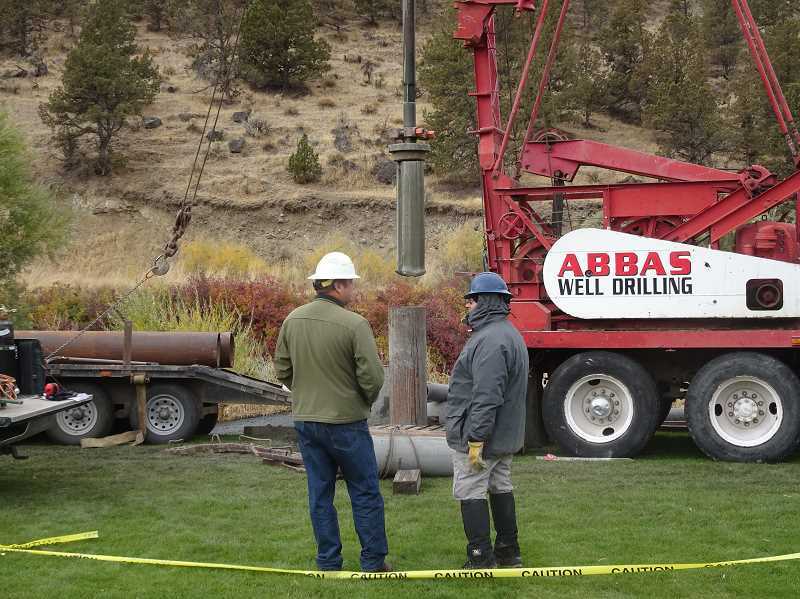 "When we began researching the future water needs of our community and its citizens, we were committed to finding a long-term solution that would ensure access to ample water delivered in an environmentally sustainable way," said Prineville Mayor Betty Roppe. "With the help of our strong partnership with Apple, we are investing in infrastructure and capital improvements that will benefit our town for generations." A feasibility study conducted by the City this past spring concluded that the region's unique geology, including a buried canyon formed by the ancestral Crooked River, was favorable for the adoption of the aquifer storage system. The study revealed that the aquifer has a potential annual storage volume of up to 180 million gallons (MG) with a single existing City well, and up to 400 MG annually with the installation of additional wells. "It is important for communities to plan for their water needs into the future, taking into account how their water supplies may be impacted with a changing climate," said Justin Iverson, Groundwater Section Manager at the Oregon Water Resources Department. "Investing in water projects, such as ASR, can help communities be more resilient to drought and climate change." Apple is funding the $8.7 million project. Apple's Prineville data center already runs on 100 percent renewable energy, and this project is expected to add construction jobs in Prineville in addition to 100 jobs created by the data center. The company has also participated in local service projects, including providing iPads to first responders. "Apple believes firmly that we are accountable for the water we use, whether it's at our corporate offices, our data centers and retail stores, or in our suppliers' facilities around the globe," said Lisa Jackson, Apple's Vice President of Environment, Policy and Social Initiatives. "Our new water system project in Prineville will support our data center's water needs, and more importantly, allows us to have a positive impact on the sustainability of Prineville's water system for the years ahead, increasing the availability of clean, sustainable water as the community prepares for the impacts of climate change."